Getting started on your nerve imaging strategy is easy with The Neurography Institute. In fact, it’s as easy as talking to your doctor. Because your doctor is your partner in your health, it’s important to involve him or her early. Let them know that you feel an MR neurography imaging session may be a great move in helping chart a course for your treatment. Chances are, your doctor will agree with you, because MR neurography is one of the fastest-growing next-generation imaging strategies in medicine today. You suffer from some form of nerve pain. You want to help your doctor in finding the best solution to ascertain your strategy for achieving a pain-free lifestyle. Your research has led you to The Neurography Institute. That’s good — you’re involved in your medical decisionmaking. And you’ve found The Neurography Institute, the original, licensed provider of the patented MR neurography medical imaging scan. Because with an MR neurography imaging session, you’ll have a scan that shows previously invisible nerve tissues — and you’ll get an expert reading of those scans from the top neuroradiologists and neurosurgeons in the world today. But who does what? Do I talk to my doctor? Should I call The Neurography Institute on my own? Don’t I need a referral or insurance approval for an MR neurography scanning session? All great questions — here are answers. You work with your doctor to address your condition. Your doctor can order tests, scans, and other actions associated with diagnosing or treating your condition. That’s where The Neurography Institute comes in. Our patented imaging system can provide your physician with additional information to best identify the source of your nerve issues, allowing him or her to craft a course of action that can help you achieve a pain-free life. 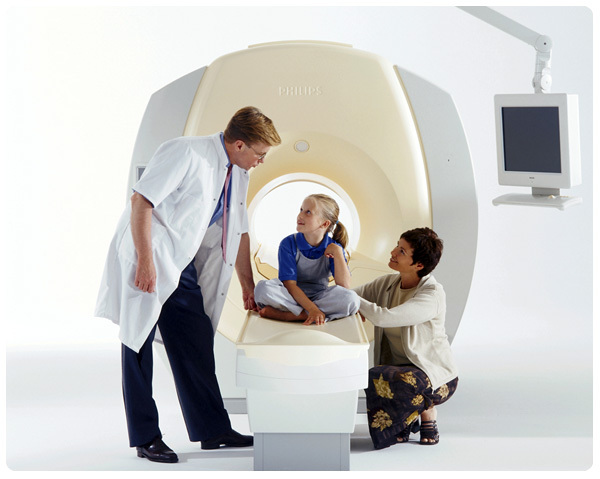 MR neurography is considered a soft-tissue scan by insurance plans, so coverage is standard with most insurers. We work with your insurer to get all procedures pre-approved and covered, so you don’t have to worry about costs. The best way to get started is to call the Neurography Institute at 877-PAIN-MRI (877-724-6674), or complete the form below. We will forward information to your physician so that he or she can work with you to decide if MR neurography is right for you. With their approval / referral, we’ll schedule a scanning session at one of our nerve scan centers. After the scanning session, the images are processed by our patented software for enhanced clarity of nerve areas. Neurography Institute neuroradiologists and neurosurgeons then conduct a review of your scans, including a review of the scans by Dr. Aaron Filler. Results are then communicated to your physician. The final step involves you and your physician making the ultimate determination on a course of action.